Story : On the way back to Chennai from the Delhi, Balli Shivaji (Dhanush) joins Pantry van run by Chandrakanth (Thambi Ramiah) as Vendor. 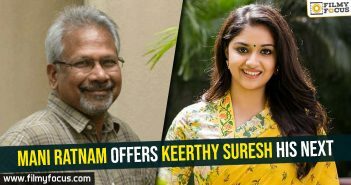 That’s when he comes across Saroja (Keerthy Suresh) touch up artist to popular actress Sirisha (Pooja Jhaveri). Shivaji falls in love with Saroja in the first instance and starts flirting with her. That’s when everything falls apart due to a small accident and DC locomotive start moving at 100 km/hr without brakes. In this right moment group of robbers rob a compartment full of passengers, media start speculating the unstoppable train a terrorist act and a group of NSG team believe vendor Chandrakanth, Shivaji and Saroja responsible for this act. That’s when DSP Sultan (Ganesh Venkatraman) steps in and takes the help of Saroja – Shivaji to stop the DC Express. Can they make the express stop before it smashes everything at Chennai central and kills 742 passengers on board?? forms the rest of the storyline. Performances : Dhanush looks like had a blast playing pantry vendor Shivaji, and he gets to mouth plenty of punch lines in a script that lacks feel & entertainment throughout. There is normal saying that goes in TFI if Mahesh Babu is bad in a film then no doubt it’s a director fault. Having watched the second half of the film, I feel like saying the same for Dhanush. If it’s Dhanush who is being wronged, it’s you know who that’s the real culprit. Nenu Shailaja fame Keerthy Suresh looks like shorter version of Urvasi. Her mannerisms, excitement, innocence, body language are very similar to Urvasi garu. Keerthy dialogue delivery is pretty bad and she overacted in most of her scenes in the final hour. Veteran Thambi Ramiah, Karunakaran give us the performance we would expect to see from them, nothing special. Ganesh Venkatraman and rest of the supporting characters are wasted in very small roles. Technicalities : First let me clear the things for you, yes, Rail is majorly inspired from Unstoppable (2010) film – with only a few alterations such as the setting and the fact Dhanush – Keerthy has a love angle to help each other to save the day. That makes this flick ready for south audience. The director fearlessly takes almost all the ingredients for the story from its original. For instance, the scenes like unstoppable locomotive with no brakes, Weak old bridge sequence, shooting the fuel line from parallel chase, showcasing everything live to the audience, Parallel discussions on Television. The final point of taking the locomotive connection and saving passengers is taken from Underseige 2 (1995). The writer director completely fail to convert the inspired story into an enjoyable romantic thriller and therefore with an extremely bad script, everything falls apart in this nearly three hours long spoof fest. The film keeps shifting between its various deliberate sub plots, out of which not even one is interesting (they fight on regionalism referring actors, Make fun of terrorism & even play with NSG commando’s) enough to be mentioned here. Due to which all the actors found hamming all the way towards the climax of the film. For the kind of story that Rail tells, it is terribly long, and has a running time of two hours and forty eight minutes. Almost three hours of storytelling unfortunately doesn’t merit this tale. Trimmed of probably a good thirty minutes, the film could have appeared a bit more compact. The story in parts remind you of even The Burning Train (1980) that had a group of actors saving the day for the passengers in the super fast express. Frames of cinematographer Vetrivel Mahendran are marred by the utterly amateurish graphics work. The CG work is not up to the mark. Music composed by D Imman is mediocre and BGM didn’t sync well with the mood of the film. The usage of Tamil dialogues for regionalism angle was an terrible idea. The fights composed on 120 km speed running train have its own physics rules. Production values of the film are alright. Analysis : I thought we were already done with such stale runaway thrillers that ruled the roost long back. With no central conflict, the film ends as a careening piece; with clumps dropping off it every now and then, predicting an imminent and inevitable tumble down. 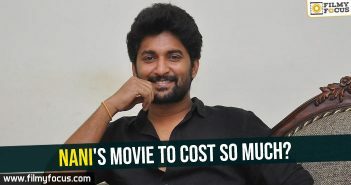 Nani’s movie to cost so much?